Ouch! Thanks, but no thanks! No one wants to play for Bergevin! It’s tough times for Montreal Canadiens fans these days. While the team is riding high off of last weekend’s 5-1 victory over the Pittsburgh Penguins, there aren’t many people predicting that the team will return to the Stanley Cup Playoffs next Spring. Shea Weber is still out with a knee injury, Carey Price is looking to shake off the worst season in his career and captain Max Pacioretty has been shipped to the Nevada desert in an offseason trade with the Vegas Golden Knights. Again… tough times for Habs fans. Meanwhile, it looks like general manager Marc Bergevin’s experiment with former 1st round draft pick Simon Despres is over. 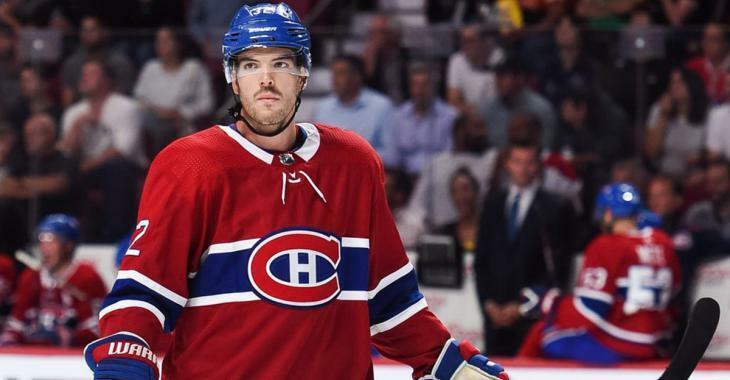 Despres, who was selected 30th overall by the Pittsburgh Penguins back in 2009, was invited to the Habs’ training camp this past offseason, but evidently didn’t impress enough to crack the roster. Bergevin, however, did offer Despres an AHL contract with the Habs’ affiliate Laval Rocket, which he reportedly turned down. Simon Després decided not to take the one way contract to play for the @CanadiensMTL farm team in Laval. He has no plan for now but still wants to play hockey. Despres last played in the NHL with the Anaheim Ducks in 2017-18, playing just a game as he continued to suffer from post concussion syndrome. He played last season with the KHL’s Bratislava Slovan, scoring four goals and 11 points in 44 games. As TVA Sports’ Renaud Lavoie reports, Despres has not yet decided what his next move will be. Presumably, he’ll return to the KHL, but it’s surprising that the Laval, Quebec native wasn’t interested in playing in his hometown. Maybe this will finally spell the end of his career. An unfortunate ending for a talented and skilled blue liner. If this is indeed the end of the road for Despres, he'll finish his career with just six goals and 43 points in 193 NHL games split between the Penguins and Ducks. He was bought out of his five year, $18.5 million contract by the Ducks in June 2017 just one year after inking him to the big money deal.